Sadly our 2018 Fringe Season is now over... but do not worry, we will be back in Edinburgh next year August 1st to 25th! We look forward to seeing our friends and fans again in 2019. 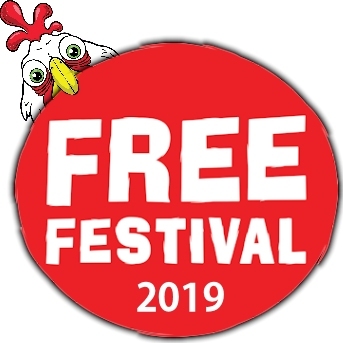 Performers applications are now open for Fringe 2019 - Click here for information on bringing a show to Edinburgh 2019 with The Free Festival, how it all works, venue specifications and to submit a show application. In 2018 we had a record-breaking 9237 performances, of 402 shows at our 25 venues, more venues than ever, with a number of awards won and award nominations for our shows plus many highly rated shows by the critics. We had some exciting new venues for you to choose from, several venues that benefited from refurbishments and lots of extra facilities to make your free Fringe viewing all that more pleasurable! There was the usual massive comedy selection, along with four music stages, some fantastic cabaret, theatre, children's shows, spoken word a walking tour and some busking, plus our free nightclubs to dance the night away after the shows. If you are feeling nostalgic - have a look through the programme to see what we had in store this year, and our 2019 programme will be released in May. It was also our 15th Anniversary year in 2018 - Can you believe that? 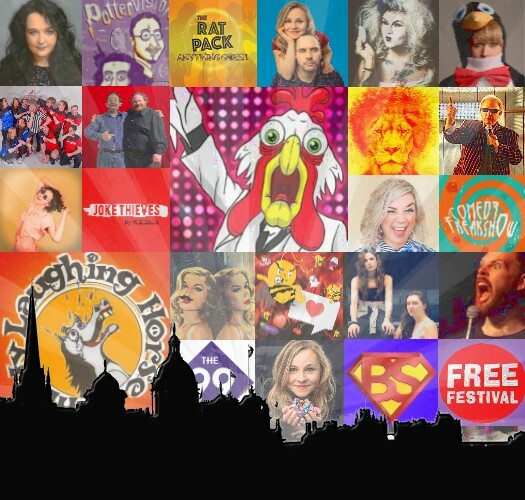 15 years of the very best free shows Edinburgh has to offer! Last year we had a hugely critically acclaimed Fringe, with award winners and nominations, a massive bucket-load of five-star reviewed shows and even more four star reviewed shows - which proves that our free shows are a sign of top quality Fringe shows, while we allow performers and audiences experience the freedom of the Fringe, with a chance to experiment and enjoy, without the huge costs! Just what the Fringe should be!